While the worlds of hip-hop and country music may seem like polar opposites on the surface, it can be oddly magical when an artist attempts to find a fusion between the two. 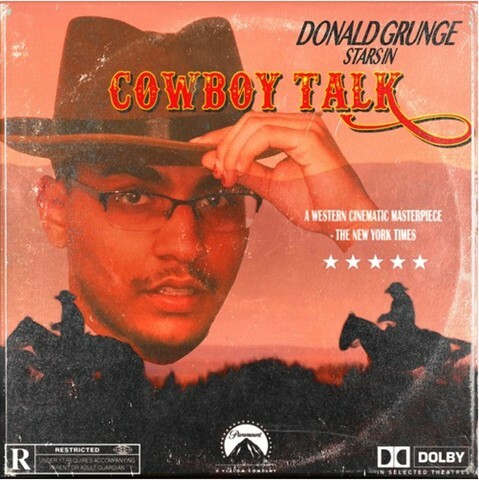 Here to take on the challenge is a Boston-based act by the name of Donald Grunge with his latest project, CowboyTalk. 7 tracks long, this tape is by far one of the most creative we’ve heard in recent memory, as Grunge’s otherworldly vocals take on a life of their own amidst such energetic production. Surely, CowboyTalk is creatively ambitious, but it’s also extremely well-executed, shedding a light on one of Boston’s finest rising talents at the moment. The tape’s two singles — “Guitar Grunge” and “Snake In My Boot” — set up a perfect alley-oop for the main entree, and just as we anticipated, Grunge released a slam dunk. Stream CowboyTalk below and stay updated on the latest from Grunge by following him on Twitter here!